There is something about being in France that makes you come back craving a little balcony in your own home. These lovely, tiny spaces outside many French homes, with the ironwork railings, and tiny, potted plants, have a more decorative purpose than a functional one. But boy, they are romantic! In Mumbai, the space crunch makes them more of a faraway dream, unless you robbed a bank, or were to a silver spoon born. In my case, neither applies. But a woman can dream, right? Our new rented apartment has a small, covered space that is a distant relative of the fifth cousin of a balcony. But it fuels my fantasies. And who knows, I might just be able to create a balcony-like space out of that tiny nook. It won't have a view, but what is imagination for! So, for the past few days, whenever the crazy work schedule has allowed, I have been browsing the net for some inspiration. And some of the idea are such Wowsers! People have a knack for making dreamscapes out of really small spaces, and I will be damned if I don't at least try! 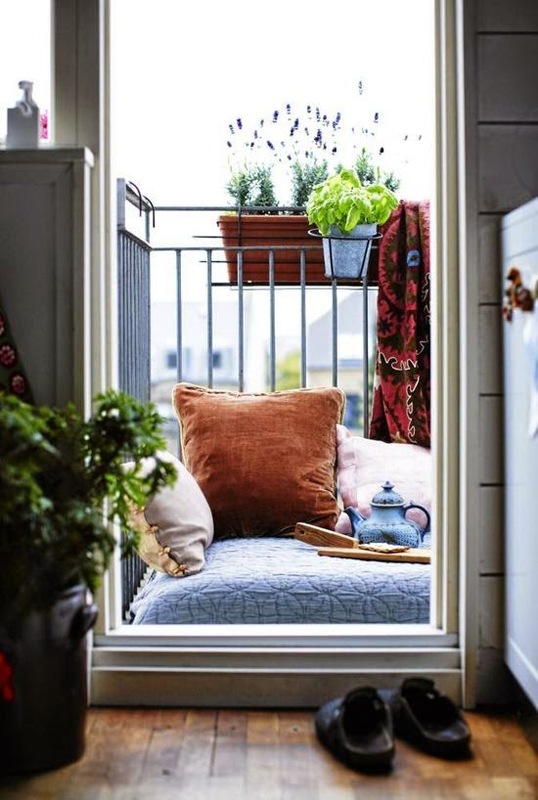 Since the nook in our home that I am persistently trying to re-imagine into some sort of a balcony is, well... tiny, I have been looking at some space saving superstars. And it's been a learning of sorts. 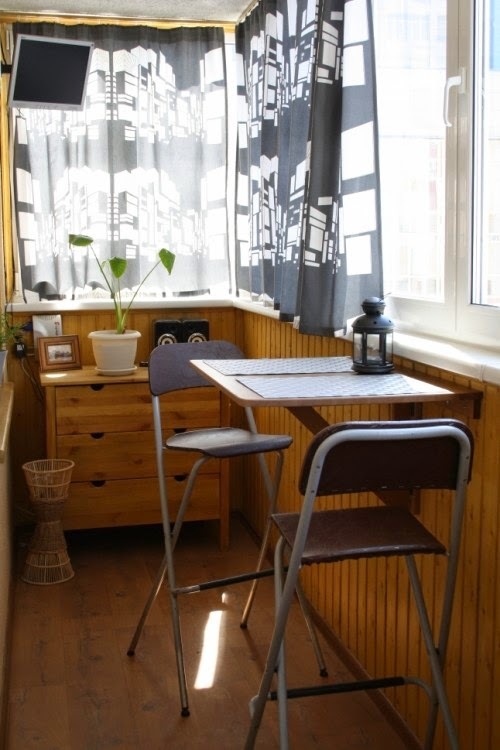 Some of these ideas can also be applied to a regular small home space, to soup up things a bit. Lots of natural materials, folding furniture, wall mounting accessories, and kegs are the key to transforming a small space. Keeping things minimal will enhance the functionality of the space, while making it easier to keep it clean. A clever and aesthetic use of colour is important here. Too much colour and it distracts, too less, and it disappoints. 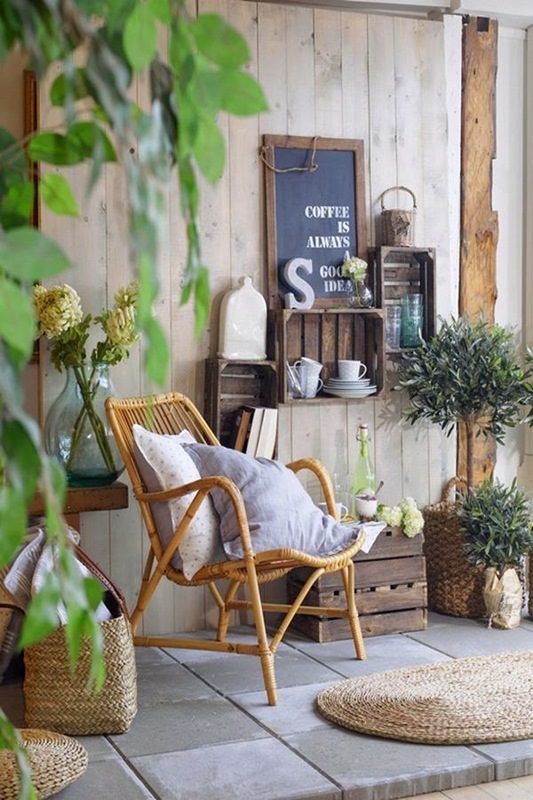 Muted shades, with interesting pops of colour to create space breaks will make a tiny nook look bigger. Try to keep some floor space free. Cramming it up is obviously counter-productive. Before you starts setting up the space, have a clear vision of what you want it to look like. Start with what you have, and build up on that. Don't make grand, impractical plans, or you will be forced to give up halfway (I have learned this the hardest way). Painted trunks, cushions, small throws, lush curtains... think of a core feature, but don't try to bring it all in. What would you be using this space for is another pertinent question. Mine will be a sort of work space as well, so the focus will be on a balance of decor and functionality. A plug-point for the laptop, a small desk, maybe a shelf or two for some books... Make your own list. Start with a basic outline. It will help you stay on track. Now that I have planted the seed in your minds... get going. Me? I will be working on my space for a while. A lot of work commitments are delaying the setting up of the house. Plus, we had to deal with a termite issue. Dreams and reality are far apart. But then, I have always been a dreamer. Nice post on the cozy little place we call our home. Can't reiterate better that home is where the heart lies and it is made of hearts and not by bricks. Felt inspired to make something out of my space too. 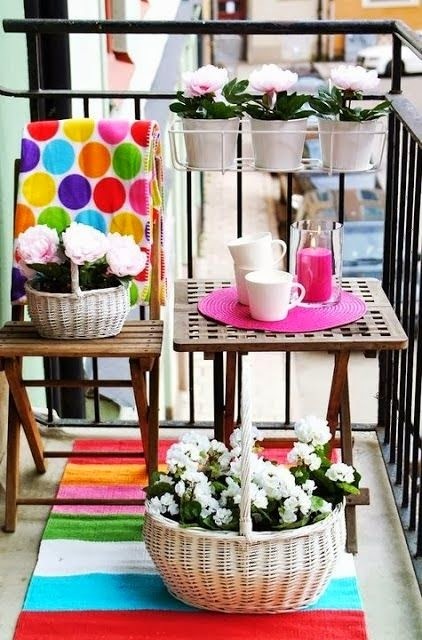 even a tiny balcony space can make all the difference! 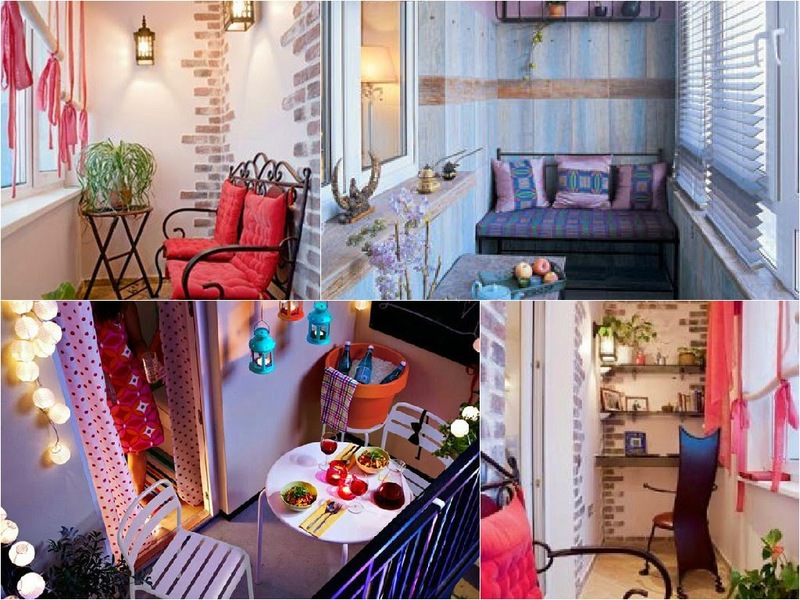 My old apartment had a tiny balcony - I wish I would have seen these ideas when I lived there! So cute. Very cute ideas and inspo! Thanks for sharing these pictures!